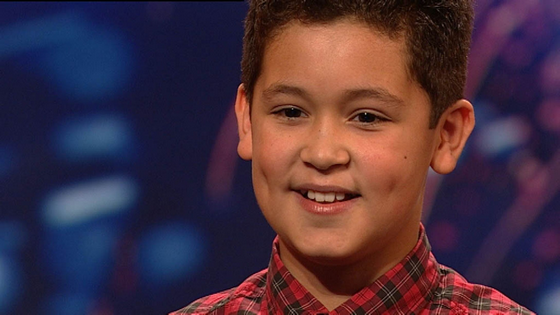 The audition episodes of Britain's Got Talent continue, and, while this past Saturday didn't spawn more Susan Boyles to make people bawl, the audition of a 12-year-old fatherless boy is sure to tug at least at a few heartstrings. Shaheen Jafargholi takes the stage, and, after mere seconds of trying to pound out an Amy Winehouse song, Simon Cowell stops him and asks if Shaheen could sing something else. The boy then proceeds to belt out an impressive rendition of Michael Jackson's "Who's Loving You," bringing the audience and the judges—even Simon—to their feet.